Performing the tasks of calculating employee’s salary manually would be costly and time consuming. 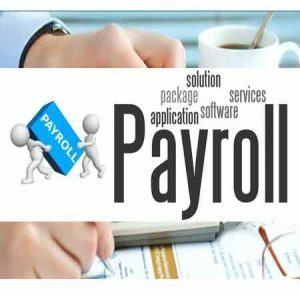 It’s therefore necessary to use payroll software that will calculate and timely disburse employee’s salary, calculate contributions made by employees and employers, and provide pay slips for the employees. Employees, organization, and payroll admin enjoy several advantages from using payroll software. If one has sufficient knowledge of IT, the software is cost effective as one can control the software by him/herself. This makes it unnecessary for a professional service thus reducing expenses and losses to small business. Additionally, pay slips are quickly and easily generated by use of payroll software. They inform employees on salary level, its reimbursements, and tax deductions. Other records such as reconciliation and Ad-hoc reports etc. can be generated by cloud-based payroll software. Based on organization’s requirements, payroll software can have multiple features hence making it easy to use. This integration of multiple features simplifies retrieval of lost information or salary structure. Also, payroll software reduces the likelihood of mistakes that arise when managing payroll aspects manually. This is possible through validation procedures and checks that reduces the possibility of entering the wrong data. Payroll system can also acts as an employee’s calendar. It gives up to date information on employee attendance, overtime or leave when needed. This makes planning processes in an organization easier. The future cost of company employees can be calculated by using payroll system. This will help in planning the future costs for employees and plan the company’s budget. In addition, payroll software updates information on the latest laws, monthly taxes, and deductions. An effective payroll system will therefore protect the organization from fines and penalties arising from incorrect filing. In conclusion, a computerized payroll system help carry out payment details with greater speed, efficiency, and confidence at corporate levels. This makes the payroll information more useful to a small business or an organization.